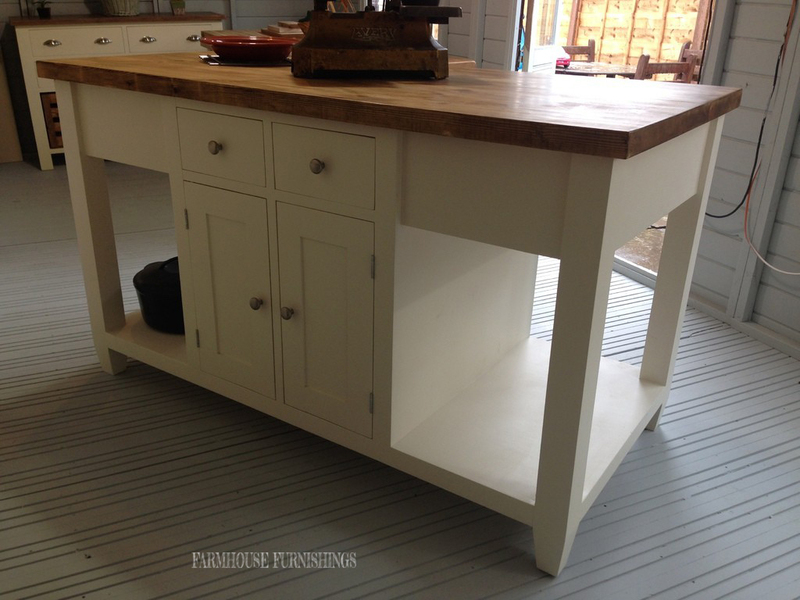 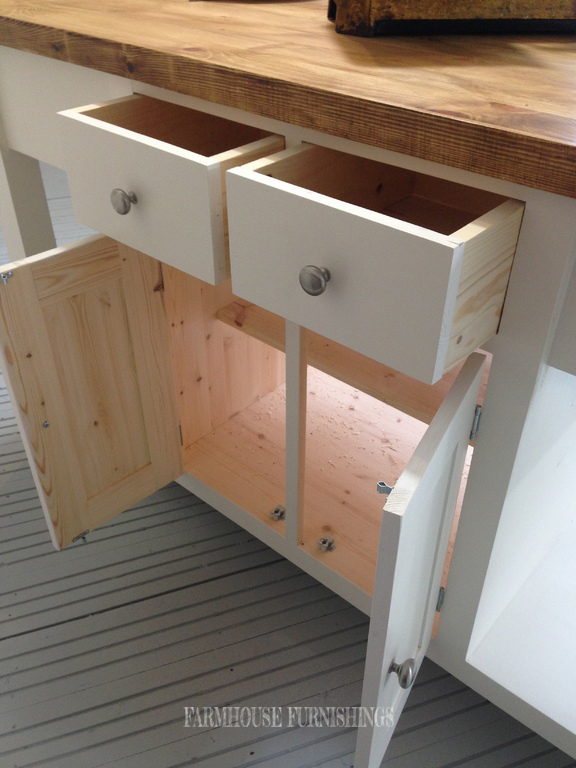 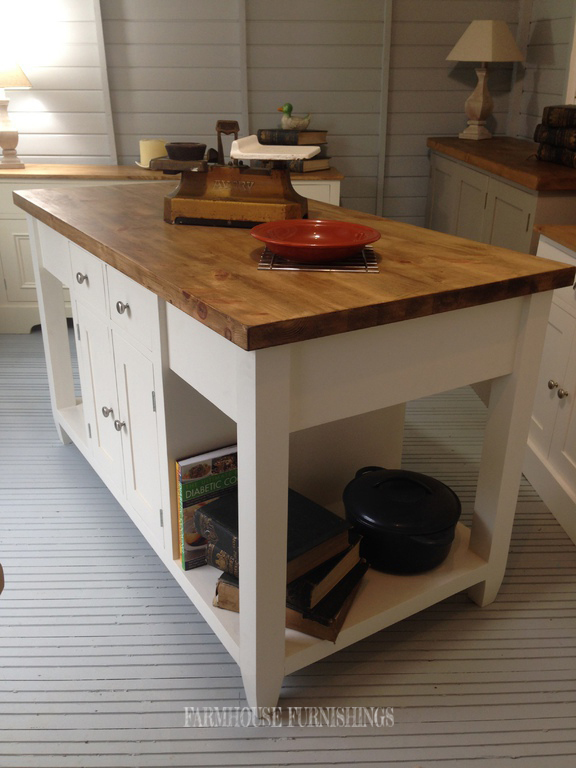 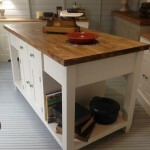 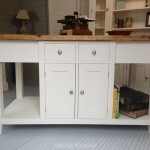 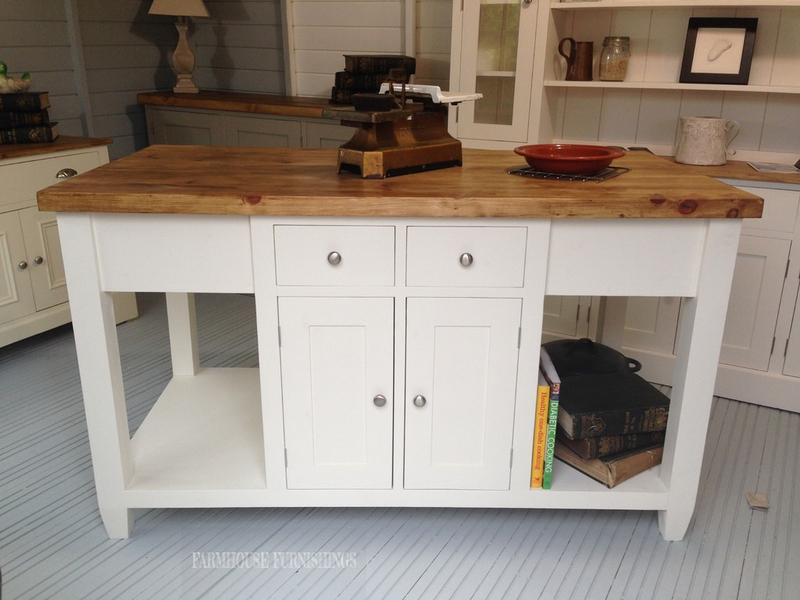 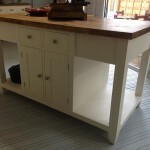 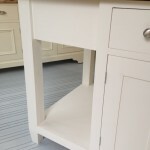 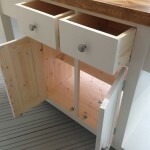 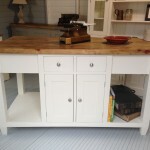 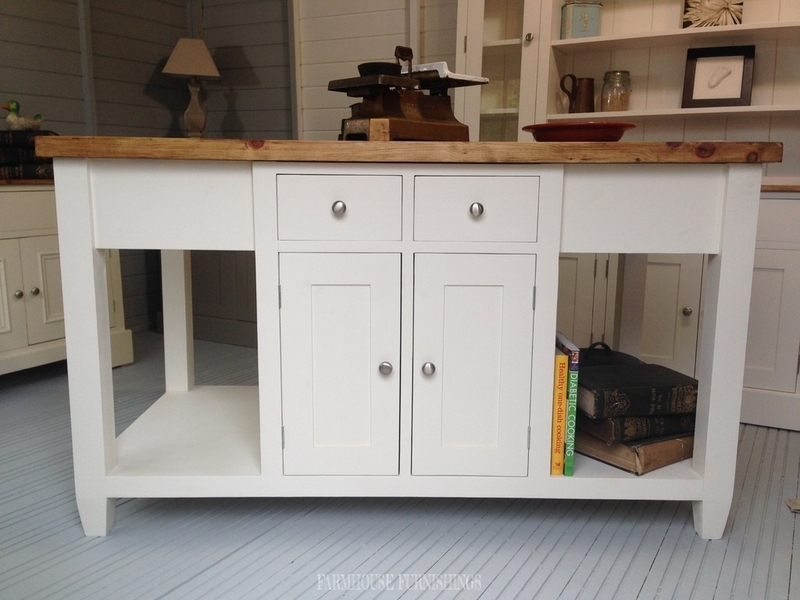 Beautiful and impressive solid pine kitchen island, with storage to the centre in two doors and two drawers and open storage either end. 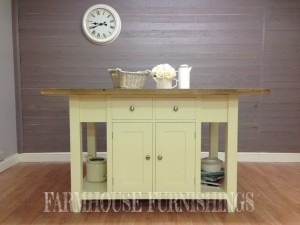 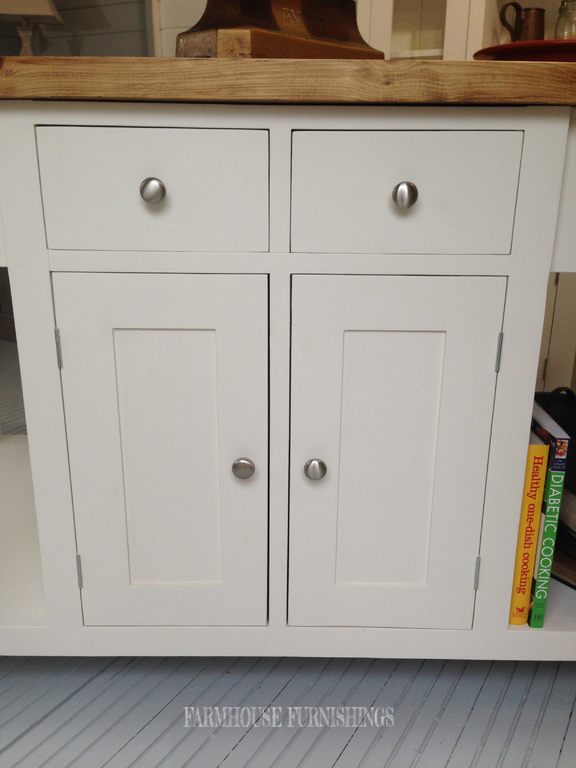 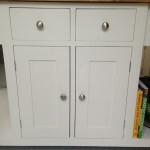 It has been painted in Pointing by Farrow and Ball but you can have it painted in any farrow and ball colour. 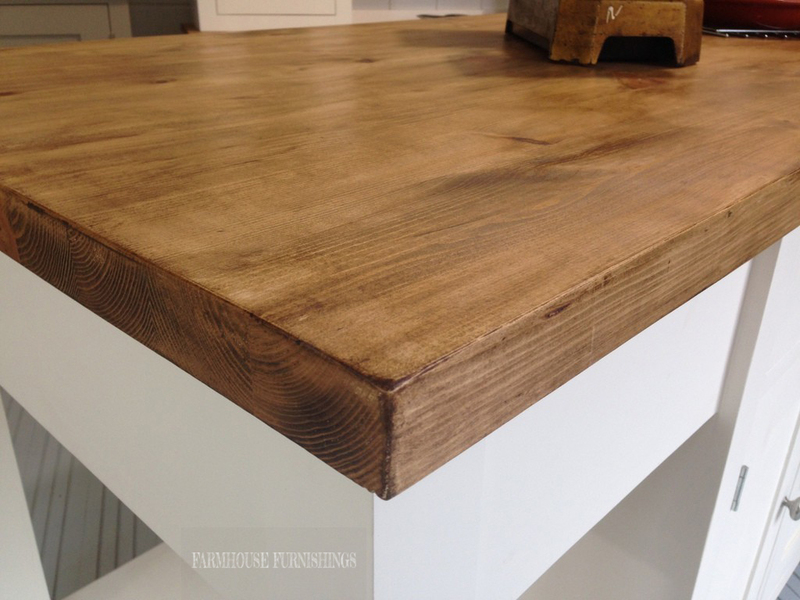 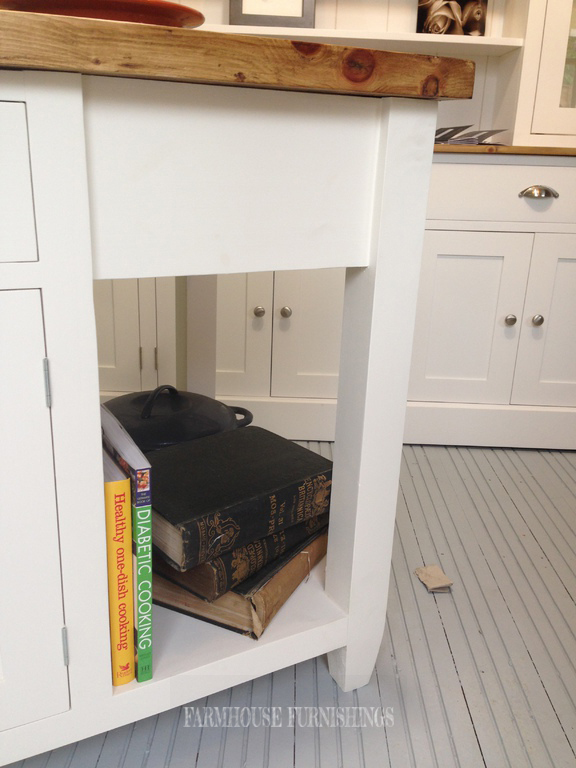 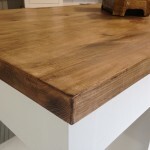 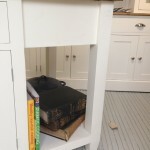 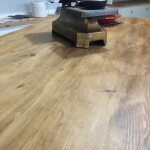 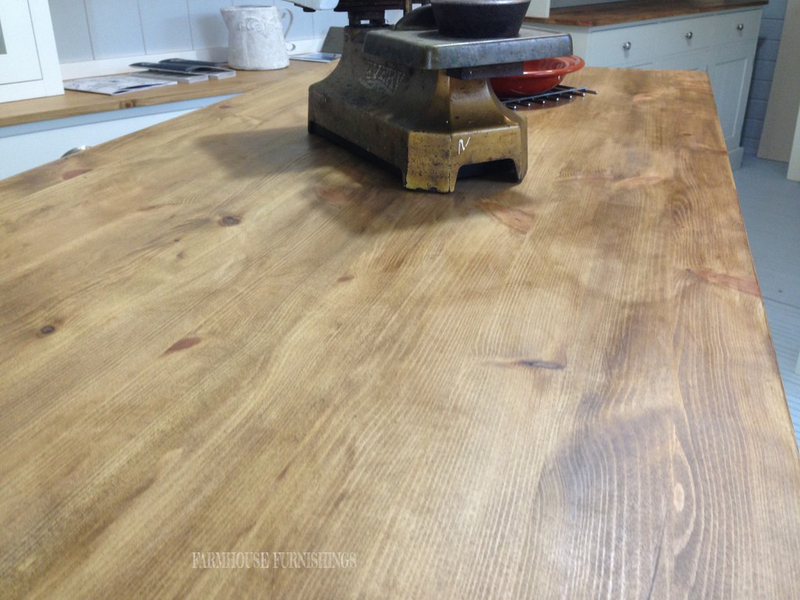 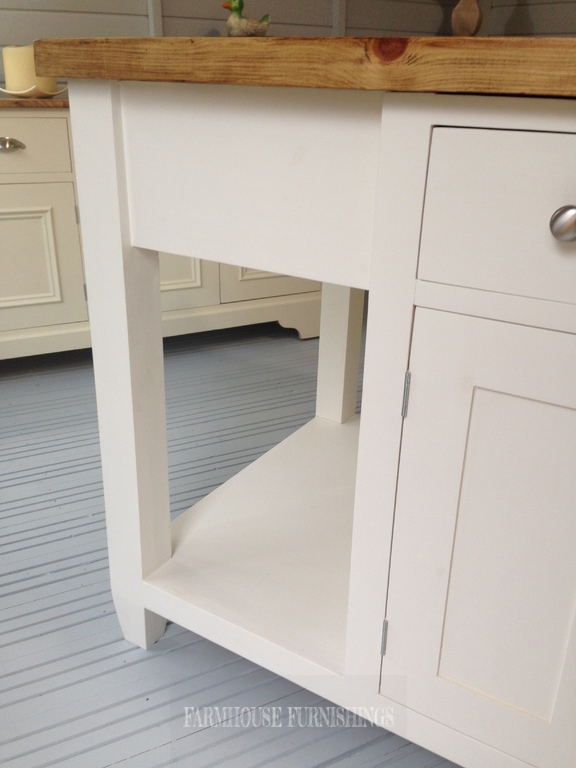 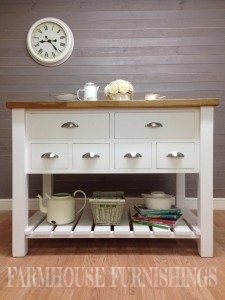 You also have the option of an oak or pine worktop.